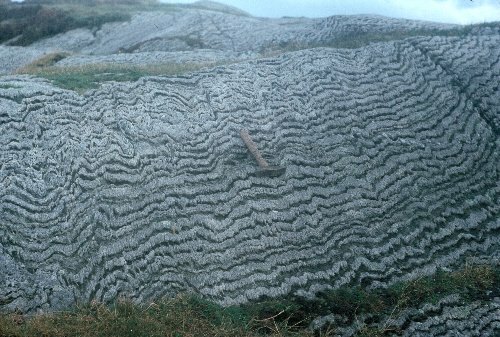 The thinly bedded cherts are pelagic oceanic deposits. Pure cherts are separated by darker, less pure chert beds. Strong deformation has produced small-scale folding and pressure-solution cleavage.